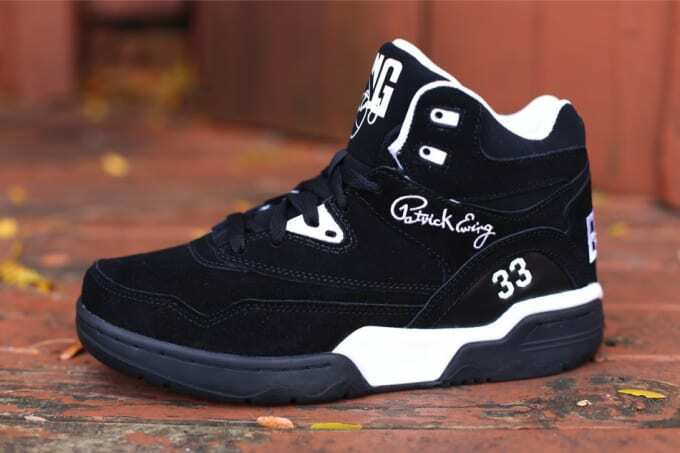 Kicks of the Day: Ewing Guard "Black/White"
After having recently been dropped off, today we highlight the new black and white colorway of the Guard from Ewing Athletics. The retro rendition is a nod to the little guys out there hooping, with the kicks being here predominantly comprised of black suede and being complemented throughout by white branding and matching accents. Tonal laces accompany the one-time bball option, which you can purchase today through select Ewing Athletics accounts. Retailers such as Oneness currently have stock of the Black/White iteration, retailing for $110.